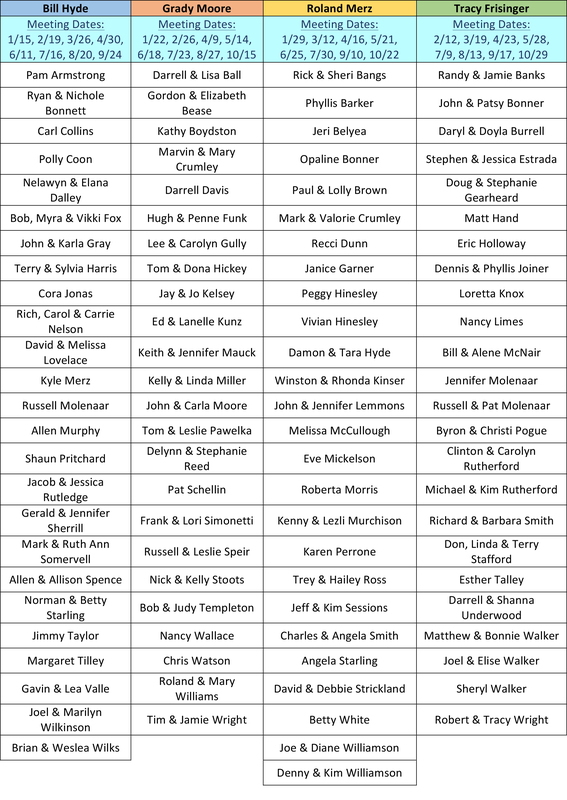 Four groups, made up of members of the congregation, meet regularly January through October to fellowship and encourage each other in our service to God. These groups coordinate efforts to identify and contact visitors in our area, provide meals to members who are ill or in need, and make visits to new members and those who are in the hospital or confined to their homes. 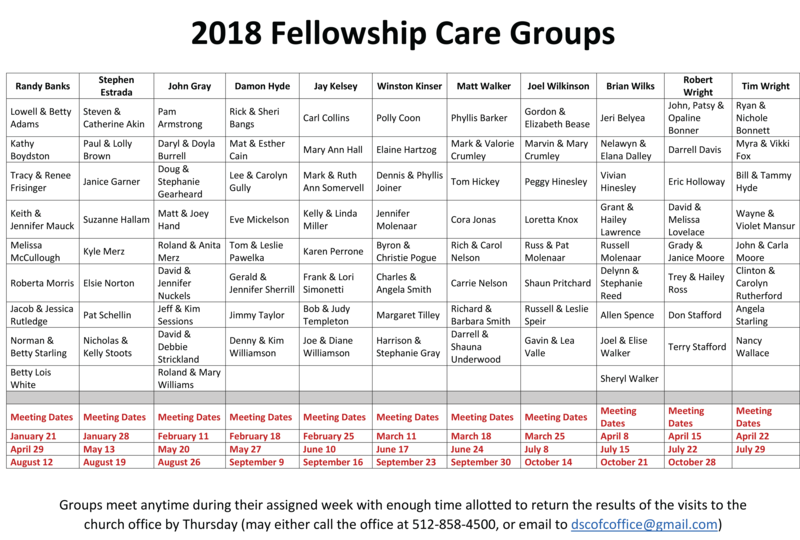 See below for the 2017 Fellowship Care Groups and meeting dates.